The Kenya Gathiruini AB was carefully roasted for you by Tandem Coffee Roasters. Grown by the various small holder producers in the Kiambu region at 1,500 - 2,200 meters, this fully washed coffee is a perfect example of why we love coffees from Kenya. 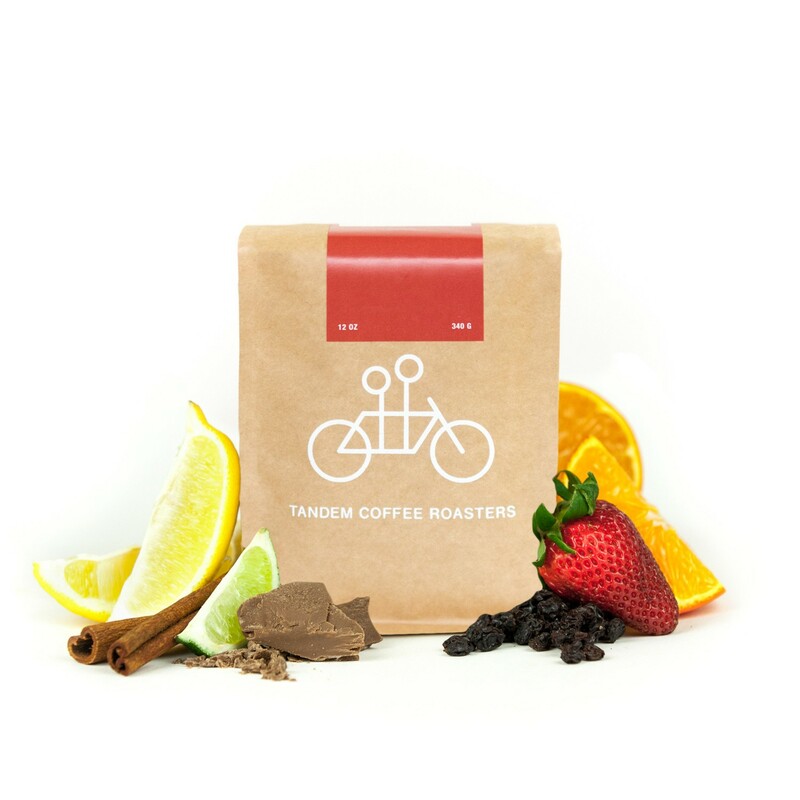 We love this coffee for it's its nuanced notes of caramel sweetness with bright grape and cranberry fruit notes. I enjoy trying new roasts, but my nose cannot help but pick up tomato notes in Kenyan coffees, it is just the base of every Kenyan I have tried. This was the same! I had very heavy tomato aroma with a bright, tart finish. I definitely get the grape / cranberry notes (especially that tartness of cranberry), but not as much of the sweetness to it. Great cup. I taste caramel and dark berries and cranberries with a nice balanced finish.